As one of the prominent food capitals in the world, New Orleans boasts a decadent, flavorful array of foods that span from traditional Creole fare to modern American fusions. Home to famous celebrity chefs like Emeril Lagasse and 2014 James Beard Award Winner, Sue Zemanick. The city itself is a showcase for centuries old recipes that have adopted modern additions in recent years. Not only is New Orleans recognized for its fresh beignets and shrimp gumbo, but as a diverse city of immigrants, it also offers vast culture offerings that reflect on the local NOLA community. The prominence of great Indian restaurants has taken a backseat, leaving a flavorful gap in New Orleans’ culinary scene. However, Saffron marks an end to the barren wasteland. Ashwin Vilkhu and his family have ran a catering company named Saffron for several years, operating a kitchen on Friday nights for Indian meals. Now, the Saffron restaurant formalizes a decadent and modern menu of Indian dishes. Notable dishes include the Indian stews and chutneys over warn naan. Local ingredients are used with traditional Indian recipes like the crab meat pudha or infused within classic NOLA-inspired dishes to crate modern pairings like the ginger in roasted oysters and curry in gumbo. Notable dishes include the royal paneer, chicken lasooni, and goat masala. To top it off, try the saffron-cardamom ice cream with rose-syrup and pistachios. Drawing upon similar inspirations, the cocktails are also a highlight of the dinner. The chic, new restaurant is the go-to spot for cuisine that it’s hard to get a reservation on Friday nights. As true to classic NOLA culture as it gets, DTB (meaning “Down the Bayou”) offers food inspired by coastal Acadiana cooking. 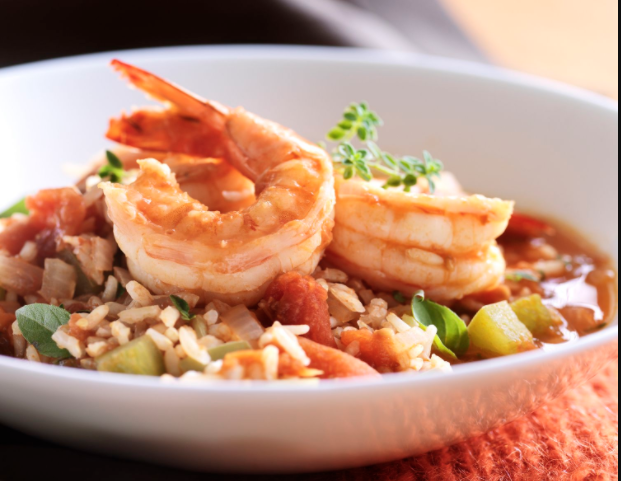 With flairs of rustic seafood and fresh takes on Cajun classics, the kitchen serves up delectibles like gumbo with crab and collard greens and redfish on the half-shell. Owner and creator, Carl Schaubhut, created the fresh fusions with chef de cuisine and 2017 Chef to Watch, Jacob Hammel. The restaurant is a distinguished culinary retreat with its moss-draped interiors and refined cocktails established by Lu Brow and beverage director Ashleigh Ruedinger. In addition, the restaurant also serves up some sinfully good features in some of its items. Take the ham hock marmalade with fried cornbread or the expert techniques that crafted plates like the cauliflower rillettes and the silken andouille pate. The menu goes beyond the traditional fried fish, but guests will feast on a combination of both traditional and innovative, trendy cuisines. Maypop, the new culinary hotspot, expands the creations of chef and owner Michael Gulotta’s MoPho, the popular noodle and po-boy restaurant. As one of the fancier new restaurants in New Orleans, Maypop is a instant classic in the downtown district that brings inspirations of Asia. With chef de cuisine William “Trey” Smith III, Gulotta experiments with Chinese, Indian, and his staple Vietnamese dishes. Check out the dim sum weekend brunch, foie gras mousse and celery nuac cham, and the fried chicken with vindaloo curry. With so many culinary options at this restaurant, the combinations suggest a feeling of community and adventure. This restaurant unlike any other in New Orleans. The cocktail menu also expertly includes both classic beers and wines from around the world. The relatively new dining spot is one of a few restaurants offering cuisines inspired by fine-dining at a more affordable cost. With a flavor profile consisting mainly of recipes from southeast Asia, the restaurant features exotic offerings with a feeling of a Southern lunch counter. Marcus Jacobs and Caitlin Carney feature dishes like lemongrass marinade over tender, chile-rubbed spareribs. Another popular plate includes grilled Gulf fish with a sumptuous ginger sauce or the elegant fresh herb salad with fried catfish, fun Thai ceviche, or sophisticated spiciness and lime of a Laotian veggie salad. Diners even have the option to get larger plates. Located on the South Broad Street shopping mall strip, the casual setting is accessible for many cuisine seekers. The service is inviting, the food is one-of-a-kind, and you’ll be coming back for seconds! These new restaurants are sure to promote the nightlife and culture of New Orleans while filling the stomachs and hearts of the NOLA community. What’s your favorite newest restaurants in New Orleans? Hopefully, this short guide allows you to get out and explore the simple pleasures, but most blessed treasures of the famous New Orleans culinary world.